I have to admit, for the past two weeks we haven't done alot of formal homeschooling, but learning has been accomplished, just not the formal kind. The lad has worked on his keyboard... Children's Music Journey practicing through Adventus. He's done some practical math via cooking/baking. Mom.. I want these candies. Sure as long as you can tell me what 1/3 of that is. ACK!!! But he worked it out...and got that immediate reward. We've done nature walks looking for toad/frog spawn. It's been unsuccessful but we've seen lots of bugs and had fun exploring small waterways and learning about drainage ditches and catch basins. He's sold vegetable plants: needing to do math, good communication, customer service, math (adding up what is owed, figuring out how much he needs to have to buy the produce desired), dealing with store clerks, and generally practicing all those niceties that produce good customer service. Yesterday he went to an extension program at the University of Western Ontario where he built a lego robot with a team of boys. They had a battle and I'm told it was good. We won two and lost two. The worst part of it was they had to disassemble the robot when the day was done. It was a good 4.5 hour time of education for him. Today the lad and I predominately worked on the Insects Lapbook from Hands of a Child. Our main focus was on vocab and the orders of insects. I used the vocab words to show my son how if you know parts of the word you can often figure out the whole word EVEN IF it's a great big long word. :) For instance Carnivore...starts with a word the lad knows well. And it ends with a bossy R..... so Car ?? or... so play around with it and soon he said CARNIVORE! Precisely lad. :) He was happy...he figured it out. Just ways to build his confidence. He also worked on his Adventus. The goal was to have him only do a practice session but ...well...the lad fights against that. He wants to keep doing something new. So...I looked up some music books I had and said OKAY...I have something that you can practice WHILE you do the "new" using Children's Music Journey 2 by Adventus. ACK MOM!!! This is too hard, I don't like it. Well...it gives you something to work on then doesn't it? So I showed him that he could. Well...he got one page down, but then he let his "ackiness" get in the way and didn't really try for the second. But... He'll practice it daily until he has it. Good to challenge a lad a bit. We called it a day after that since he's fighting a cold and was getting too... hmm.. "techy" for anything good to come of it. This past Saturday I went to the homeschooling conference put on by KWCHEA. it's the biggest quite local homeschool conference and reasonable in price so attending is something I do once a year. While there I attend seminars. Went to two, plus attempted a third. One of the ones I went to was called math and art. It was fascinating. I really enjoyed it came away with good ideas about how to do art with my seven year old and math at the same time. As I was browsing the books (as that's a big part of the day) I came away with two thoughts. 1. Some companies seem determined to nickel and dime you for everything. They charge you the teachers text, the student text, the additional worksheet text, then the exams text, and then separately from that... the answer code. Makes me NOT want to do business with those companies. I'm sure there are good reasons for it, but I find it incredibly irritating....as you need to figure out exactly what you need with the hold over your head of "just what if you need it" or ACK...what if I forget something important. 2. some books are VERY good for inspiration. I saw a book called speed math or some such. It was for drilling math facts. The book well, cost more than what I'm willing to pay but it gave me the idea for helping the lad learn his math facts. he doesn't want to do flashcards, so I'll get him to practice his math by doing a worksheet everyday. I went to Softschools.com for some help in printing off sheets. I was able to put an upper and lower limit on the numbers I want used and then I printed off the sheet. Gave the lad two minutes to get the sheet done. Once he's getting a whole sheet done in two minutes then I'll give him 1 minutes 45 seconds to get it done. And eventually get it down to 1.5 minutes which would be 3 seconds per question which is what every program I've seen uses as a goal. We did some reading - George Brown class clown, a bird book and our devotional time. We didn't have time to read the paper together today. We did adventus - he continues to improve in his musical understanding, today he learned more about how notes are different lengths and they are introducing what those notes are called, target the question - today's challenge really made him have to play attention and think his way through the problems. and Tutorsoft math -. The lad was working on learning shortcuts in multiplication today. He found it a bit of a challenge but we'll continue to work on it. Before I get to our magnets are fun aspect of learning today, let me talk about some of the other things we did today first. 1. read the paper. No...didn't read the whole paper with a seven year lad but I read headlines and the comics and then we talked about them. Whatever grabbed his interest or mine. This leads to some interesting discussions at times. "If space aliens were to invade earth, they could take the form of animals"
"do you come in peace"
"take me to your refrigerator". I asked the lad....(after he finished laughing)... why was that funny? BECAUSE mom... Garfield didn't say Take me to your leader...He likes food too much! Then I asked....do you see what Jon did with the paper? yes, he read it...but what else did he do? Ah...he believed it. Do you think he should have? It's good to read the paper, but one always needs to be aware that it's not always telling the truth. We read a bit from his current breakfast book "Ghosts don't eat potato Chips". Then did Adventus (at lesson 12 now I think? ), A-Tutorsoft Math (continuing our work on multiplication), and Target the Question. We took a side trail to do some air pressure experiments with balloons. The lad's been making balloon pigs and said MOM....do you think we can make a pig inside another balloon. I told him TRY. He tried, he failed and so he asked his mom to help. I blew and blew and about gave myself a heartattack (not really)....but that was tough going. BUT finally we got the balloon to expand...and it popped out of the other balloon mostly...can you see how we have a covered expansion? Fascinated the lad but we couldn't get it to duplicate with another balloon (and I ran out of breath). We decided to take a break from learning about motion to learn about magnets this morning. We are doing this for our review for SuperCharged Science. Do forgive the blurriness that lad tried mightily. This was an unexpected result. The lad wanted to see if he could make the paperclips move the iron filings when the magnets literally jumped out of his hands and grabbed the iron filings through the paper. A Music Program Review - Adventus is a winner! The product is MusIQ Homeschool. The seven-year curriculum includes 20+ levels for beginner to advanced intermediate piano students. The Lesson Plans include detailed lesson objectives, activity sheets, quizzes and assessments plus hundreds of helpful tips from experienced educators. This is a review for the Schoolhouse Review Crew. You need a MIDI capable keyboard. You need a cable to attach it to your computer. Easy peasy all that. If you don't have a keyboard you can order it from the company. NOW.. FIRST turn on your keyboard. Then start the Children MusIQ Journey. There is a few set up details you need to manage when you first run the program, but once set, it is set. I learned it is important to have your keyboard turned on before you start the program. Watch the video and do the lesson. Play the games. Do the composing if you'd like. Listen to the music selections again. Do the printed lesson if it fits (and if you purchased it, it is NOT an integral part to the program). Do your practice when it suits. We did this usually before or immediately after a lesson. Depended on the lad's confidence level for the particular level. The lad is seven. I had thought to start him on level 2 but it started with the presupposition of knowledge base. Knowing my lad needed to build confidence I thought I'd start at the lower level and let him build that confidence (and just skip doing things like colouring pages). It turned out to be an excellent decision. The lessons are progressive and show a logical progression. At times they move too slowly for the lad's liking, and at those times I just (unknown by him) do the next lesson and then he's all happy again. I can do this Mom! So son...what do you think of the music program? Seeing my son, who is VERY particular about his music (he likes jazz) and dislikes mom playing the keyboard or singing (and is vocal in that dislike), actually coming down to play on the keyboard himself, and making up little songs on his own.... ah...it just tickles my heart. I had need to email the company with an issue we were having and they were very quick in getting back to me and providing the needed assistance. Good customer support is important to have. There are a couple of different ways of ordering this program. You can do a monthly subscription: Online homeschool For $10.95/month OR you can order the complete MusIQ homeschool bundle with has all the programs, lesson plans and a MIDI keyboard for $499.95. Children's Music Journey Vol. 1 , Vol. 2 and Vol. 3. If you don't need to get the midi keyboard you can just get the Children’s Music Journey Volume 1, 2, and 3 for $69.95 EACH. 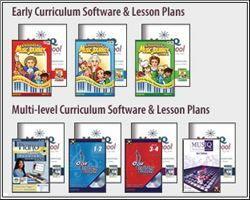 Included in each volume are the computer software and lesson plans. The program can be easily used for more than one child, or even yourself if you are wanting to learn music yourself. For me: the cheapest I can find for lessons locally is $10/lesson/week. Driving about 25 minutes once a week. Over the course of year that will cost me at least $520 plus gas. This program is a big savings for me. Imagine now if you have more than one child? Savings would add up nicely eh? We get out of the house enough so not having to go out for yet another thing is a bonus. Click to read more reviews from the Schoolhouse Review Crew OR click on the image below. 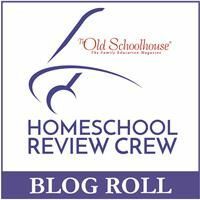 I've been reading lately about struggling homeschool moms (for the most part). Some are dads, but most are moms. Struggling with children not wanting to learn, struggling managing their time, their households, their...well...most anything. Raising and educating a family keeps a body busy. When I read things like this I need to make sure I keep my focus where it aught to be....doing what works for OUR family. Not getting caught up in the "keep up with xyz family". They are their own family, this one is MINE. So today we started off the day doing dishes... I know... totally exciting isn't it? I had a lad wanting very much to play the new levels of bad piggies. What? Let my boy play Bad Piggies rather than do "real homeschool?" Bad Piggies IS real homeschool. It's problem solving, working out engineering problems, paying attention to details and all sorts of things. He has to work hard to figure out some of those levels and he's better at it than I am. He was feeling a ... what's the word I want...unsure if he had his focus in the right spot and came in asking "mom, is it okay if I play Bad Piggies? Am I learning things?" I told him yes, you are...but what do YOU think you are learning? 1. I have to keep trying and trying mom. 2. I have to figure out why it's not working and sometimes I just don't know. I have to ask Dad for help! Some of those levels are VERY hard mom. For a seven year old, I thought those good answers. Part of the headline had this "the N-word". I said to the lad...The N word? Do you know any N words? Does Angry birds or Bad Piggies have any N words? Led to a whole discussion on N-words which is good practice for a beginnging reader....this lead to him wanting to know what the N-word in the paper was and we talked about how one councillor used a word beginning with N that made people get all upset with her. I said that sometimes too people make too big of a deal over something and need to just let it go. We read and discussed a story in his primer that we are reading. Todays story was about a man who trusted a friend to tell the truth and what happened when the friend (who said he was ever so brave) was proven to not be ever so brave and what the result of that was. After this we did our Essentials in Writing Lessons. This lesson caused some momentary confusion in the lad because he was rushing his learning. Once he slowed down it went quite smoothly. He had to do some thinking which, of course, is generally a good thing to do. Lunch and then upstairs to do some book work. Things kinda broke down here. The lad and I worked through telling time several times over the past while but he's having some difficulty retaining this information. So I have a clock poster from the dollarama that I just wrote on all the five minute increments. Then a lightbulb went off. :) AH>> "okay.. I understand mom. BUT MOM>>> Why can't people always just say 3:15 and not a quarter past 3? Why can't they just do it all the same?!??!" He's much aggrieved by this. How would YOU answer this?? Doing this activity resulted in the lad saying "mom, this was good homeschooling today". The lad loves angry birds, I love teaching him. It doesn't matter to me if I use angry birds to instill a love of learning in him. So our dogs are really yellow angry birds pulling a sled. Does he know that dogs helped the Inuit get around more quickly than walking? YEP! We built fish (For the birds to tease the pigs with)...but the main diet of the Inuit consisted of fish, whale and such like. Does the lad know this? For sure! :) Same with the igloo, the cache, and such...angry bird theme-ing it just helps the knowledge be retained and he has retained alot. It's very cool to see some of this stuff sink into his brain. Came across (in our Inuit studies) this recipe for Bannock. So we made it for supper. Mix ingredients together to form a stiff dough. Sprinkle flour on a clean work surface. With very clean hands, knead the dough. Dust hands and dough with flour if the dough is sticky. Form in a round loaf about 1 inch high. Bake on a greased baking sheet at 350° F for 30 minutes. Serve warm with butter and jam or honey. We added to the experiment a bit. The rocks on the right hand side, tray, green stuff came with the kit. The popsicle stick and the large rock came from the lad. He wanted to know if the rocks used made any difference and what would happen if you left the popsicle stick in it.